Learn about the “bucket approach,” a drawdown strategy that involves holding three different buckets of money, or separate asset accounts, for retirement. Editor’s note: This is part 3 of “Drawing It Down,” a four-part series on drawdown strategies for current and future retirees. The first two installments looked at tweaks to the 4% rule and protecting against market risk. Ah, the golden days of retirement. We all have our own visions and hopes for those years. Retirement could mean pursuing interests like world travel or hobbies that you never had time for while working full time. But there may also be a psychological adjustment as you shift from accumulating assets through earned income to spending those funds in retirement. When it comes to withdrawal strategies, there are numerous options beyond the traditional 4% rule. Just as every retirement is different, withdrawal strategies don’t offer a one-size-fits-all approach, either. Another idea to consider is the “bucket approach,” a drawdown strategy that involves holding three different buckets of money, or separate asset accounts, each covering a different time segment of your retirement. There’s a psychological benefit to the bucket approach, says Matthew Sadowsky, CRPC, RICP©, Director of Retirement and Annuities at TD Ameritrade. "It can provide investors with more confidence knowing that you have certain assets and income sources stacked up against anticipated expenses in the future." Again, you may wish to add additional segmentation, or at least keep a greater number of assets in the third bucket, especially if you plan on a long retirement. The number of centenarians as a percentage of the U.S. population continues to grow, which means more people may be enjoying 30 or more years of retirement. The bucket approach could work for anyone drawing down a nest egg over time, and who may need to liquidate investments in order to fund expenses, Sadowksy says. "The bucket approach lets you categorize which assets you plan to liquidate over various periods of time. It does not assume any particular asset allocation across your buckets." To create the first bucket, calculate your budget for yearly living expenses and then add in extra for an emergency fund, just in case you have a surprise expenditure. "Create a projection of your expenses over the next several years. Factor in inflation and also one-time events like ‘my daughter is getting married,’" Sadowsky says. You may wish to invest the different buckets in a mix of assets. 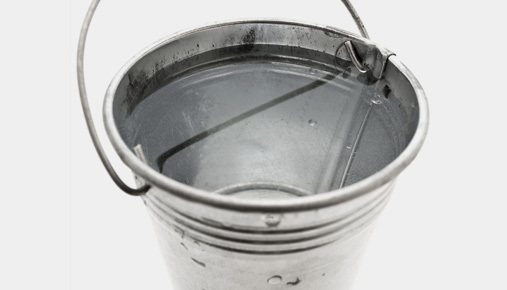 Liquidity and low risk are the hallmarks of bucket number one. That first bucket could include high-quality fixed income, a mix of cash, a ladder of CDs, and money market funds. Depending on your level of risk tolerance, the second bucket could include a mix of growth and income equities, and the third bucket could be even more focused on growth, as it has the longest time horizon. "The idea is that each bucket holds a certain type of asset. It enables to you put the assets in your long-term bucket in more aggressive investments and have the confidence to ride out market ups and downs. You don’t need to worry about being pressured to sell some of those investments in a downturn, because you don’t need to tap into them for perhaps several more years," Sadowsky explains. So the 4% rule may be a good starting point, but as you approach your retirement, you may wish to add a few bells and whistles such as protecting against market risk in the early years and allocating your portfolio among time horizon buckets. In the final segment of this series, we’ll explore additional dynamic strategies you may wish to consider. Planning for tomorrow involves setting financial goals today. Are your plans on track? CRPC© is a registered mark of the College for Financial Planning©.